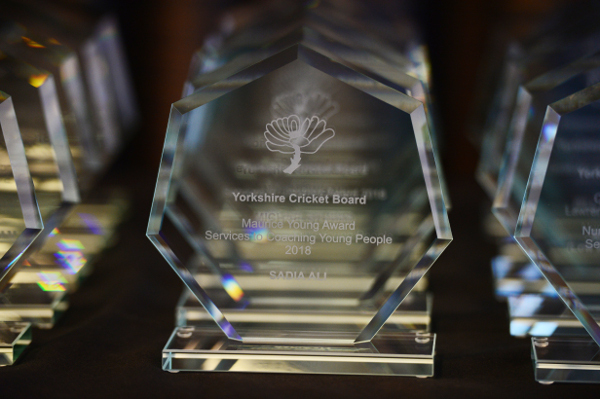 The Yorkshire Cricket Board’s Outstanding Service to Cricket Awards (OSCAs) continues to champion the breadth of volunteers from across the county. 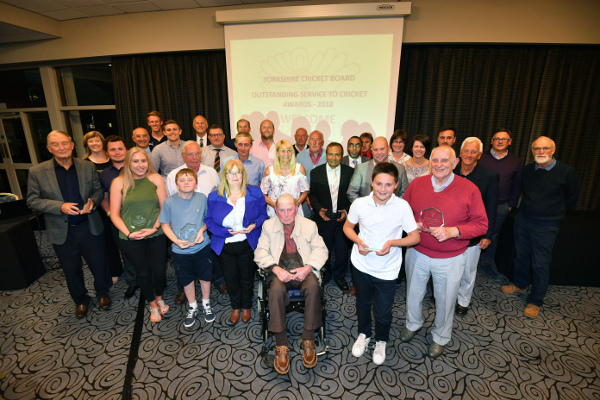 This year’s ceremony, up in the Premier Suite at Yorkshire County Cricket Club during the County Championship game with Somerset, saw umpires, scorers, coaches, players and administrators given recognition for the work they do. I’ve been going to these events for years and they have gradually gained in prominence moving from the old Stumps restaurant to a hospitality suite with an evening buffet for the assembled guests. 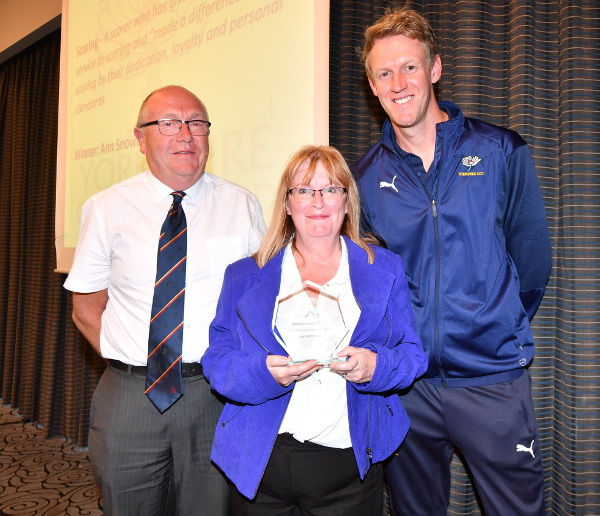 During Mark Arthur’s reign as Yorkshire’s Chief Executive, he’d made a point of attending them and giving out awards and this year was no exception, with county captain Steve Patterson also there to support. 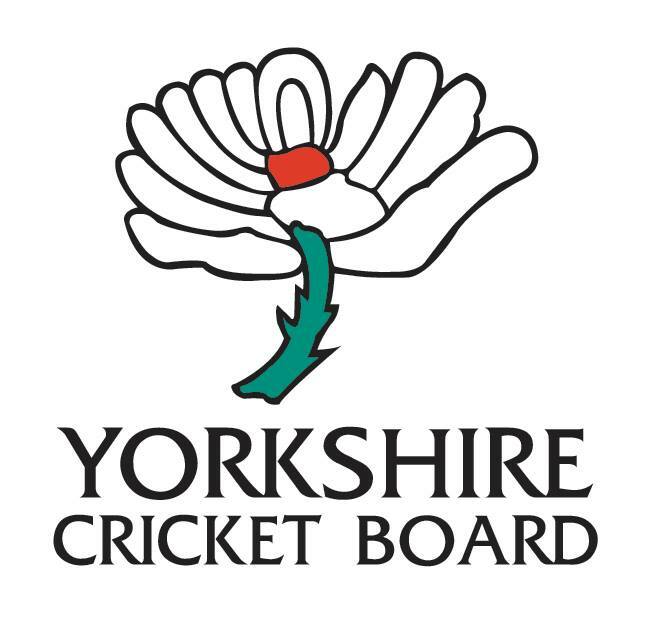 It is a well-run, popular event that the Yorkshire Cricket Board do annually and anyone can nominate a person for an OSCA within the criteria of a set of awards that cover everything from Young Coach of the Year to Club Family of the Year. Chairman of the Yorkshire Cricket Board Chris West was an assured hand to lead us through the citations as I sat on a table packed with those up for awards from the Scarborough area. It was to prove a fortunate group to be among as I was the only one left without a gong when the night was done. As you’d expect, the stories of those serving on committees, showing leadership or coaching for decades was heartening. Of course, you could fill another room and then another with others who similarly give up so much of their free time to support cricket. Alison Slack won Heartbeat of the Club for the way she has been involved in almost every role at Fishlake over the past 24 years whilst still being secretary. Completing Clubmark, coach education, sourcing funding, collecting membership and running social media and the Play Cricket website are just some of the roles she’s taken on. You wonder how these folk find the time for anything else and I’m sure you’ll know similar stalwarts at your cricket club. Bill Robinson, who I reckon could now be 84 years young, snapped up Disability Achiever of the Year. 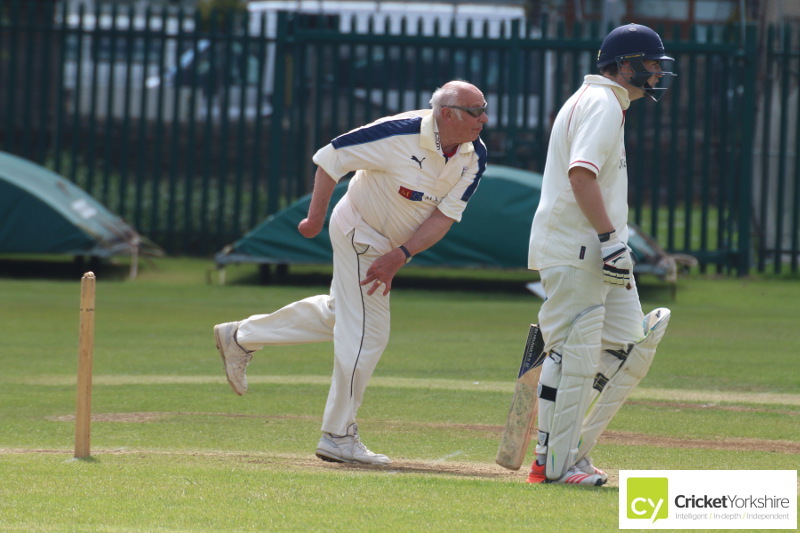 He has been playing for Yorkshire Terriers for over 20 years and has been instrumental in recruiting cricketers and supporting the squad on and off the field. While topping up on tea at the break, I got talking to Ann in the queue who wasn’t sure which award she had been nominated for but was grateful, she said, to be shortlisted all the same. 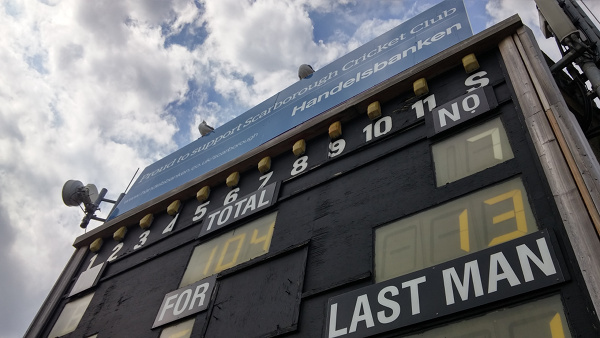 An hour later, Ann Snowball had won the Services to Scoring category by virtue of scoring for the Scarborough Cricket Development Group for the past 12 years, having originally self-taught herself to score. 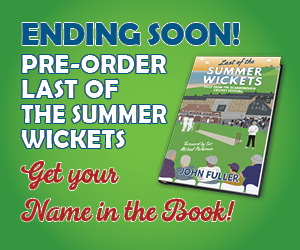 She’s well known at North Marine Road, having scored throughout the season for either Scarborough Cricket Clubs 1st and 2nd XI on Saturdays, the Joe Lumb XI on a Sunday and Scarborough CC’s Evening League XI on midweek nights. Add in the organisation of scorers courses as part of Ann’s involvement in the Scarborough and Ryedale Cricket Development Group as well as being Treasurer of the Scarborough and Ryedale Cricket Development Group too and another picture emerges of a volunteer doing so much for local cricket. 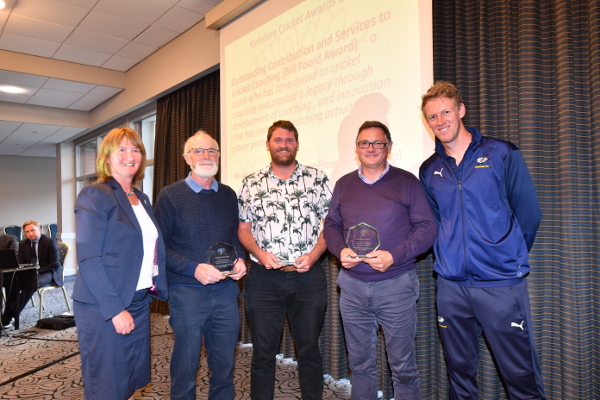 In the Outstanding Contribution to Cricket Coaching, a trio of coaches from Hallam Cricket Club were recognised for their efforts including junior cricket, All Stars, girls cricket and the link between schools and clubs. Step forward, Matt Mawson, Richard Storer and Dan Grantham. Hallam has the largest junior section in South Yorkshire and one of the largest in the county with the club juggling a whopping 15 junior sides! They start encouraging children into cricket at an early age at Hallam, having been early adopters of the Chance to Shine programme. Coaches offer lessons in four primary schools then the club hosts both a Summer Smash under 9s and ECB kwik cricket competition. Hallam’s record breaking year delivering All Stars has been duly noted with a visit from Sky Sports to showcase the work that has been done by the club to reach a staggering 173 children who signed up. On a Friday evening, apparently you can’t see grass for children and parents enjoying the All Stars fun. Congratulations to all those who were YCB OSCAs winners or highly commended for their efforts. Of course, this is just a snapshot. 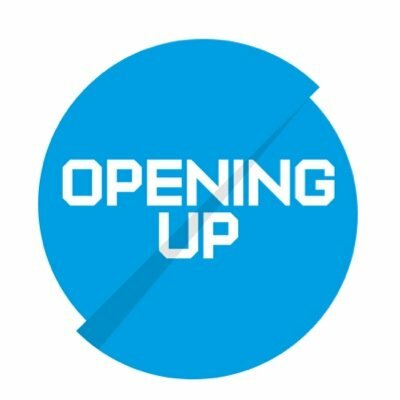 I meet volunteers up and down Yorkshire every week who didn’t make this shortlist that are quietly contributing to their community. Wherever you are, keep doing what you’re doing – it is continually inspiring to hear from just some of those out there selflessly giving their time to the game. The full list of those shortlisted and winners is below….if you liked the article and think all these stories need a wider airing then please share the article on Twitter and Facebook.